We welcome teachers to participate in the ongoing discussion and sharing of strategies to enhance learning in every social studies classroom. The following blog posts are from teacher practitioners from each region across the state. ProCon.org has great resources for students to examine controversial topics in a balanced way. They have taken this approach and have curated a variety of resources for students for the upcoming 2016 election. They plan to continue to update the site with resources and data through October 2016. ProCon.org is a great place to have students explore past elections, take a candidate quiz to see with whom their ideas match up, examine campaign finances and more. On their home page, students can select an issue and get an overall quick view on who is pro or con, as well as read about what the candidate has stated on the issue in their own words and view the sourcing of the statements. This is a great model for sourcing information and evaluating information from multiple sources. They also have a chart comparing candidates on a variety of topics. A possible inquiry activity would be to have students examine an article or candidate statement about an opponent and complete their own fact checking to practice being an informed citizen in the digital information age. Google Drive has a variety of tools. Personally, I tend to use and have my students use Docs, Slides, and Forms. One that I have not used is Google Drawing. 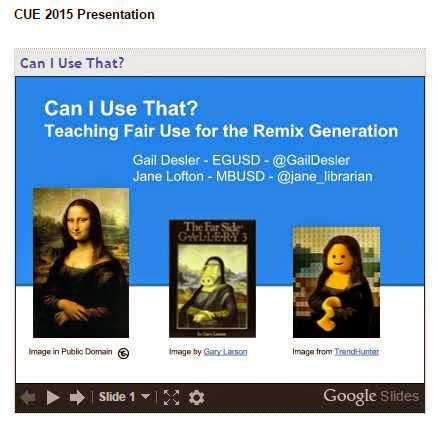 I just saw the power of Google Drawing unleashed yesterday at San Diego CUE by Derek J Marshall and Raymond Lopez. It was genius how they have their students use it to analyze cartoons. They have their students upload a political cartoon into the drawing as an image. Next, have the students draw the cartoon into quadrants. Then, break down the cartoon by quadrant using the drawing tools and comment/text boxes. This would also be a great collaboration activity to have pair or a table group of four work on together. Here are a couple of pics of the the samples that they shared with us in their session. Below are the steps to using Google Drawing. You can also click HERE for a link to the steps to share with your students and peers. Sometimes getting students to read about current events takes some encouraging. Many would rather listen to their earphones. Alternatively, some may have reading difficulties or be auditory learners. Here is where Listen Current comes to the rescue. Listen Current utilizes public radio broadcasts of current events and stories related to History, ELA, and Science to help build students' listening skills. This is right in line with the Common Core. They also provide discussion questions that can be utilized as extension activities. There are a variety of topics available at the middle school and high school level to engage your students with. Another great feature of Listen Current are there pre-made Socrative quizzes. (Socrative is a free data gathering tool that you can sign up for) You can check for understanding with your students quickly by having students go on to their electronic device whether it is a computer, tablet, or cell phone and take the quiz. Let's get our students working on their listening and discussion skills and fostering their civic skills. Copy the code for the desired quiz and go to your Socrative account. You can select the quiz settings to control the pace as the teacher or allow the students, as well as whether to display student names and randomize the question order. Have your students log in as students and give them you classroom number to have them take the quiz. Are you a middle or high-school teacher interested in deepening your work with media and technology? Would you like to impact the resources developed by KQED for educators? The KQED team invites you to join the KQED working groups and become part of their think tank. KQED Education aims not only to serve the nine Bay Area counties, but has grown to a national level with the help from our recent partnerships with the National Writing Project, PBS NewsHour Extra, Youth Radio, California Academy of Sciences, and Twitter. · Engage with a network of like-minded educators. Share best practices for teaching and learning with public media resurces. · Connect with KQED Education producers, and get inspired to bring new tools and practices back to your classroom. · Receive free professional development, including the opportunity to attend and present at local, regional and national education conferences. · Inspire, refresh and modernize your teaching practice. · Receive a cash stipend for your time and effort. We aren’t talking about the campfire treat. Smore is an online newsletter web creator that you can print out or share electronically. They have a variety of templates available and it is super easy to use. One of the great Smore features is that you can hyperlink to other sites and make your newsletter interactive. You can choose to share your newsletter on your social networks or via a mailing list. Your first five Smores are free. After that, they offer an educator license for $59 annually. This is a great way to share information. You can also have students create a newsletter to demonstrate mastery of content. So get cozy around the fire and check out your Smore. Social media is becoming an ever growing part of our students lives. Why not show students how to you social media responsibly as digital citizens and with an educational purpose? My students are getting more and more into Vine. I took the plunge and had a student show me how to use the app. Then I had to think- what did I want to document? How can I find a purposeful way for students to use the tool? I often take pictures of our class and post them to our class Twitter and Instagram to document our growth and provide an opportunity for the parents to peek into our classroom. Vine allows me to share brief 6 second videos. In a Twitter chat a participant also mentioned having students create them for vocabulary. You can asks students a brief question to respond to. Another possibility is to have students record their analysis of a political cartoon. Get creative. Once you have your students create them on their iPhone or Android phone, you can collect them using Google Forms. Another option is to have your students post them to their ePortfolios by embedding it onto their site if they have them. You will need to get the embed code and embed it on a computer or Chromebook. The process does not work on the smart phones or ipads to embed Vines. Check out this Prohibition exhibit Vine from the National Constitution Center. Last weekend I attended Edsurge in Los Angeles, where teachers can explore emerging educational technologies. While waiting for the event to start, I had a chance to catch up and chat with Jen Roberts. Roberts is a rockstar middle school English teacher in San Diego. 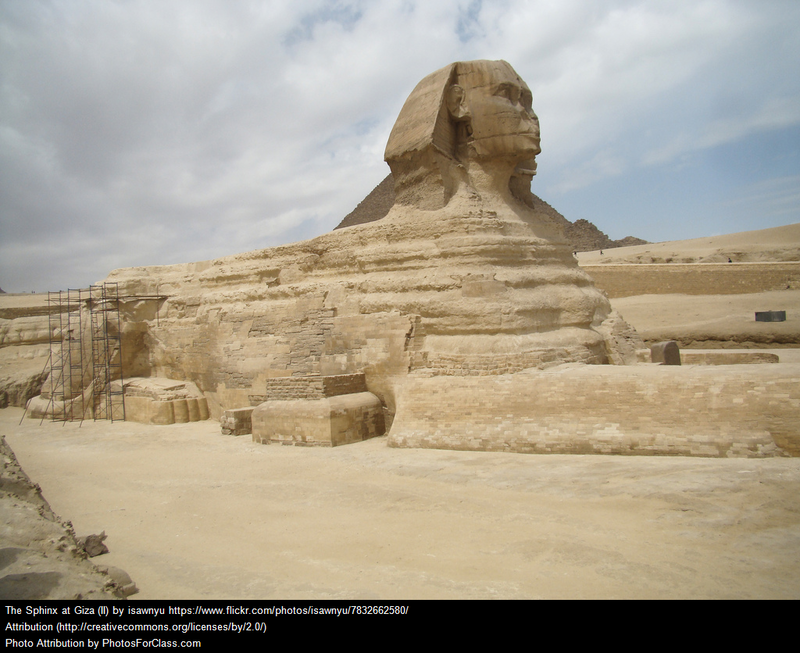 In our discussion, I brought up researching and getting students to properly attribute sources when she shared Photos for Class. This site is FABULOUS. Photos for Class is a free database of Creative Commons G rated images that you can download WITH proper attribution included at the bottom of the image. Let me say this is golden. I have stressed with my students the needs to give proper attribution in their work including images. Too often teachers have students just grab an image off of Google. This is wrong. We must teach our students to search for Creative Commons images to utilize and give proper attribution. See last month's Fair Use blog post for more information on the topic. Photos for class is easy to use. Just type in the topic in the search window. My students and I found that you may need to include the general topic and a specific aspect to narrow your search to be more productive. For example, when a student was looking for images related to the fall of China to communism we entered "Communism China." Once you find an image you like, select download. You will now have a Creative Commons photo with proper attribution to use in your task. This serves as a great way to teach digital citizenship and for students to see the proper way to attribute photos that are not there own. Not everyone is 1:1 with Chromebooks or ipads. Or maybe you want your students to record in an "old school" way without visuals... think Fireside Chats. One item that most of our students have is a cell phone. If not, many classes have enough where students may work in groups. You can have your students record audio with their cell phones using ipadio. 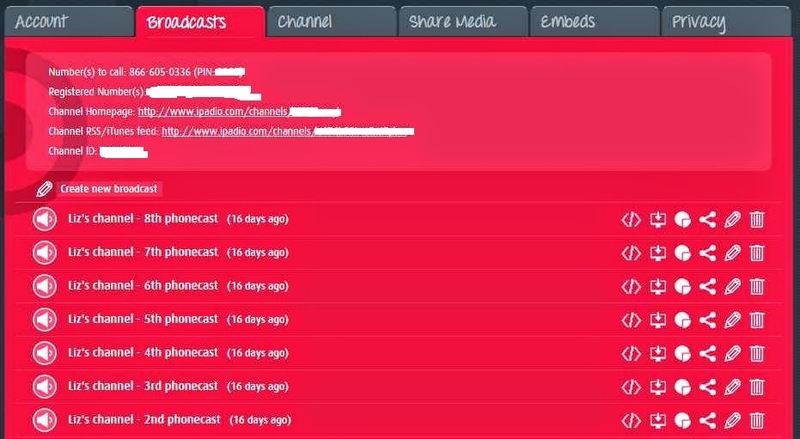 ipadio is a allows you to broadcast live to the web by having your students call a phone number. To begin, you will want to have the students who will be using their phones sign up for a FREE account. They will be given a phone number to call and a PIN number after registering. Have the students write this down, they can also retrieve this info online by logging in. It is best to have students script out their recording prior to calling- there is no pause. Once they call the number, they will be prompted to enter in their pin. Next, there will be a recorded message, at the beep students record into their phone and press # at the end to stop the recording. They will be prompted if they want to listen then. I have my students save all recordings and select the best one at the end. Having a class record in the classroom can get loud and the noise will overlap, consider taking your class outside to a common area such as the quad to record. Have the student with the account login and have them/group listen and select the recording they like. Lastly, have the students download the recording to share with you via a Google Form or they can share the selected recording embed code with you via email or a Google form as well. If you have a group that does not have access to a phone, you may consider having them use your phone. To do this, you can register an alternate phone number- I entered in my class extension to share with students. You can then share the alternate number and PIN and allow student(s) to use your phone. There are a variety of ways in which to use this. You may consider doing this for WWI or WWII battle reports. My students really embraced this and downloaded battle sound apps on another student's phone to play in the background as they were recording their "battle reports." The class was excited to listen to their reports to review for the exam and complete their battle notes graphic organizer. You may also consider this in meeting Special Education accommodations. This is a great tool to help meet the speaking and listening requirements of the Common Core. The ladies have also created a Can I use that? A Guide to CreativeCommons PDF that is invaluable. You will also find image and music Fair Use resources, links to Fair Use curriculum videos to use with students and teachers, and more. This year's keynote at the CCSS Conference was the amazing Sam Wineburg. He is author of "Why Historical Thinking Matters" and is the director of the Stanford History Education Group(SHEG). One of the important historical thinking skills SHEG reinforces and Wineburg spoke about was sourcing. In today's digital age this is a necessary skill to teach our students as they sort through troves of information on the internet. WhoIs is a great site Wineburg mentioned in his keynote. This site allows you to plug in the URL to a website and it will tell you who it is registered to. It is important for all of us to learn who is behind the web pages we are visiting, site names can and often are misleading. So before you or your students reference a site, do you due diligence sourcing the information and check out who is really behind the site.